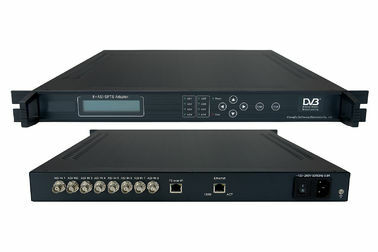 FL-2236 8×ASI to 64×SPTS (TS over IP) Adapter/Gateway is one of the main equipments for digital TV head-end. It supports 8×ASI input receiving data of DVB transport stream from encoder, multiplexer, DVB gateway, scrambler, video server and other DVB heard-ends, and outputs 64×SPTS (TS over IP, UDP/RTP, multicast) stream output. keyword:TS to IP adapter, TS to IP gateway, ASI to IP adapter, ASI to IP gateway.